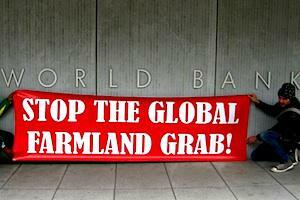 Reams have been written about corporate land acquisitions around the world – land grabs, if you will. The hard reality is that there is a sound business case to be made for commercial interests to aggressively attempt to control the very foundation of the food chain, the land itself. Through direct control of suitable land it is possible not only to control food production but also to manage whatever else happens on, around and with the land. This extends further than simply the corporate control of the primary industry of agriculture – and thus food production. It represents the creation and appropriation of an entire new asset class, with serious implications for equality, governance, food security and the underlying democratic process.